Guild Associates is a UL Listed panel shop approved to fabricate Industrial Control Panels to the standards below. Some of these standards cover control panels as well as electrical equipment such as instruments. 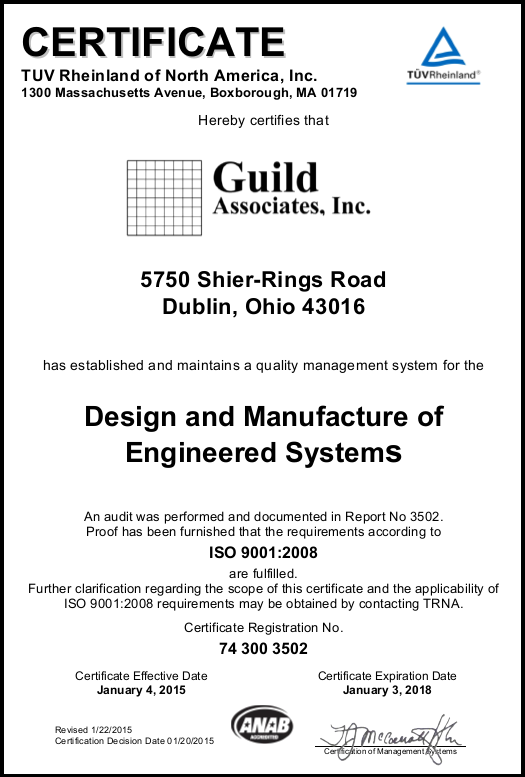 Guild Associates' Quality system is ISO9001:2008 Certified by TUV Rheinland of North America. Click on the certificate image below to open a full sized copy in a new window.